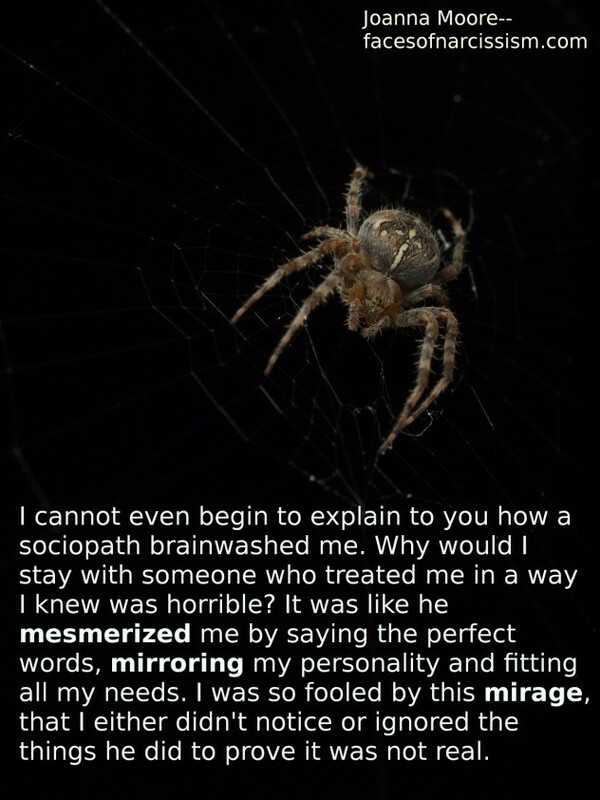 I cannot even begin to explain to you how a sociopath brainwashed me, but he’s done it to many. Why would I stay with someone who treated me in a way I knew was horrible? It was like he mesmerized me by saying the perfect words, mirroring my personality and fitting all my needs. I was so fooled by this mirage, that I either didn’t notice or ignored the things he did to prove it was not real.